Munich/Cernobbio. 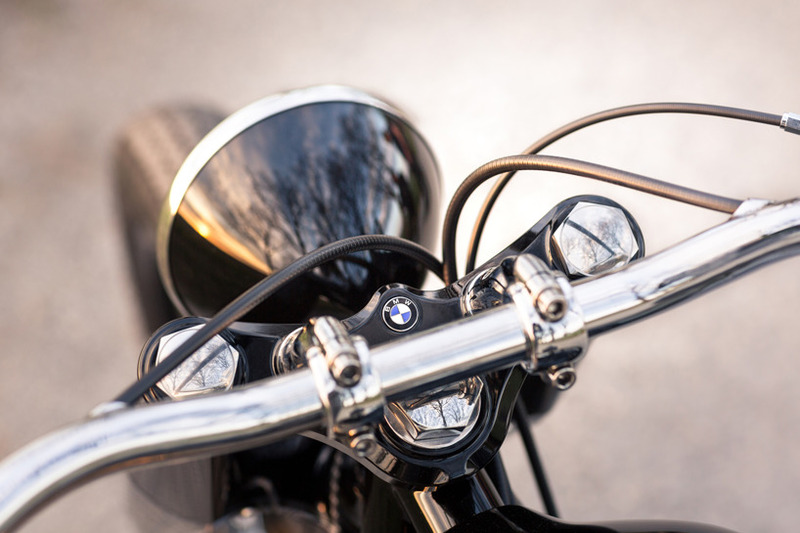 80 years ago, BMW presented the BMW R 5 to the international public - an exciting new technological development that was to influence motorcycle construction right through to the 1950s. 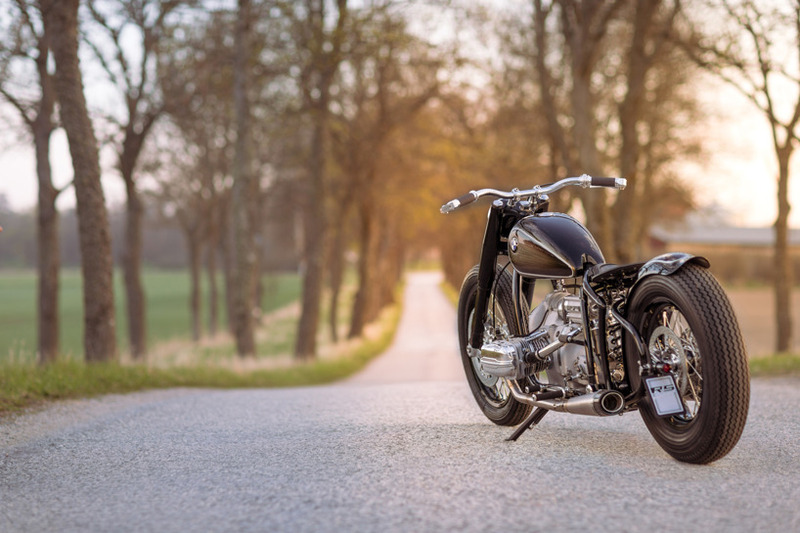 Inspired by the 500 cc factory racing machine of 1935, it was one of the groundbreaking sports motorbikes of the late 1930s with its newly designed light frame. 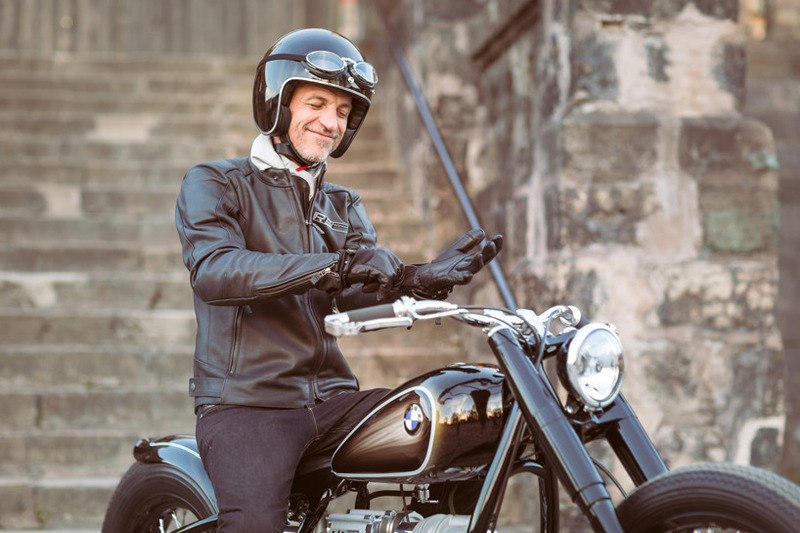 To mark the 80th anniversary of the BMW R 5, BMW Motorrad is honouring this icon at the Concorso d’Eleganza Villa d’Este 2016 with a special model: the BMW R 5 Hommage. 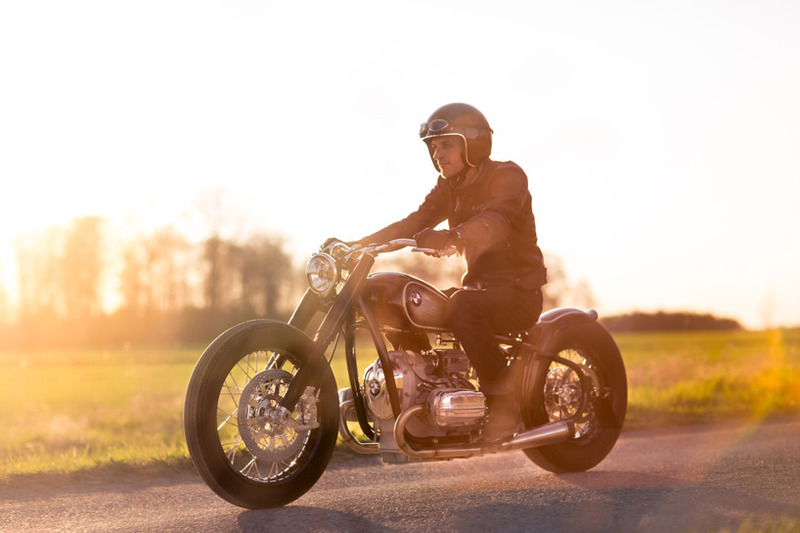 The BMW R 5 Hommage translates the essence of motorcycling into the modern era, combining the world of historical motorcycle design with the modern world of custom bikes. 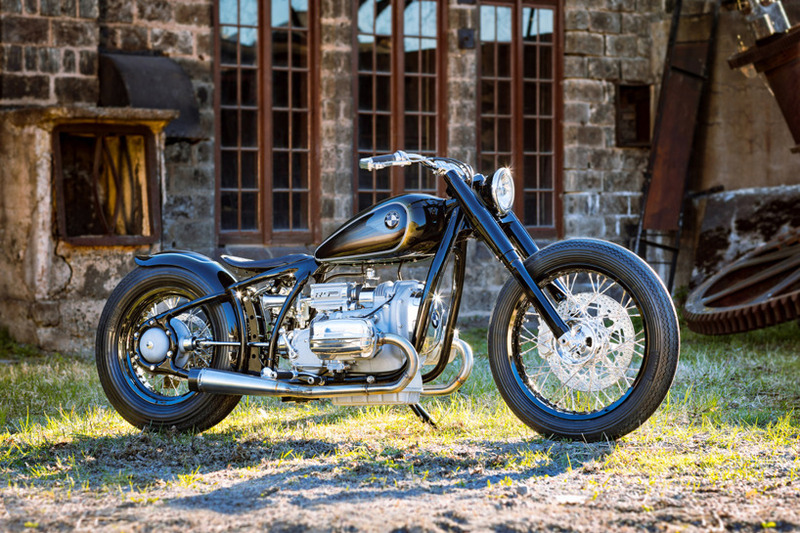 The BMW R 5 Hommage shows just how well the world of historical motorcycles and the custom scene harmonise. 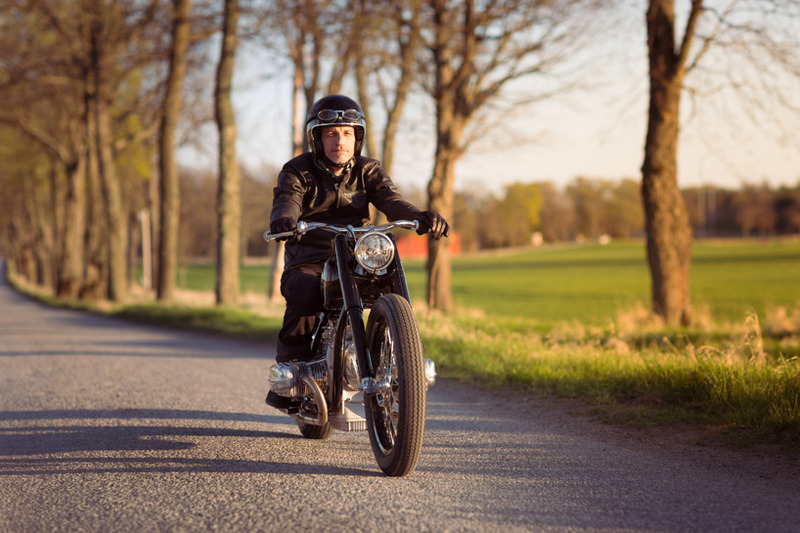 At the core there is an original 500 cc Two-cylinder engine provided by motorcycle enthusiast Sebastian Gutsch. 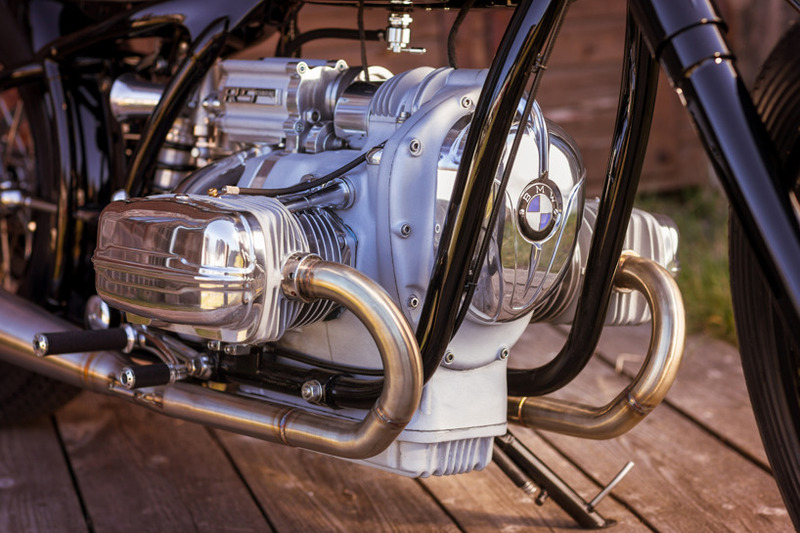 This boxer engine was damaged in a race and provided the starting point for creating the BMW R 5 Hommage. 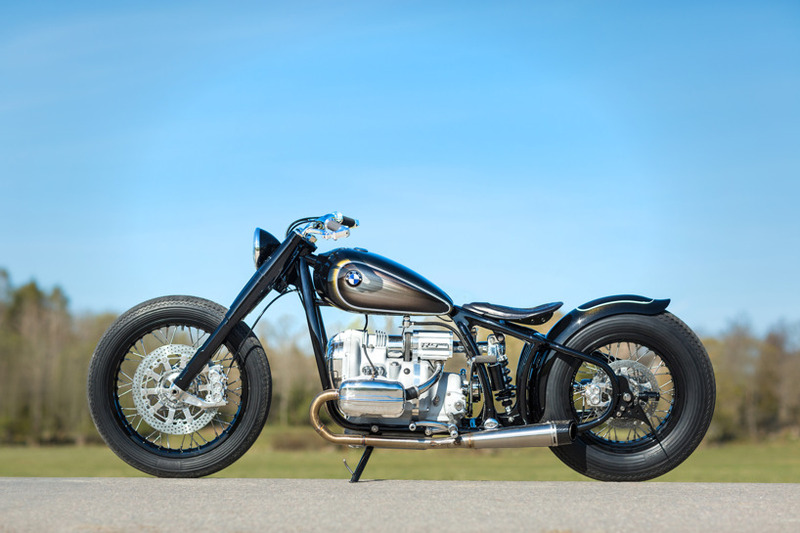 As befits a custom bike, the homage bike was elaborately hand-crafted from scratch. 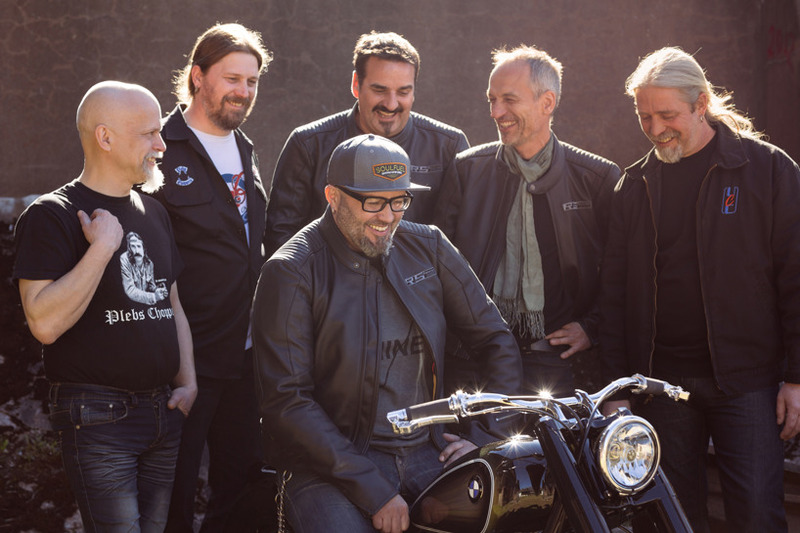 Ronny and Benny Noren were called upon to produce the parts according to the specifications of the BMW Motorrad Design Team: the two brothers have been building tailor-made customer bikes for more than 30 years. 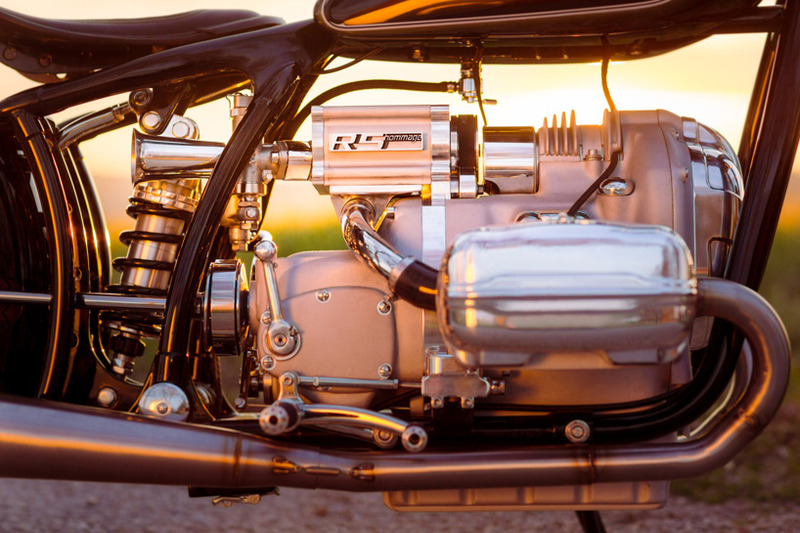 The Two-cylinder 4-stroke boxer engine of the R 5 was completely newly designed at the time and had an output of 24 bhp at 5,500 rpm. The valve drive was taken care of by two camshafts powered by a timing chain. 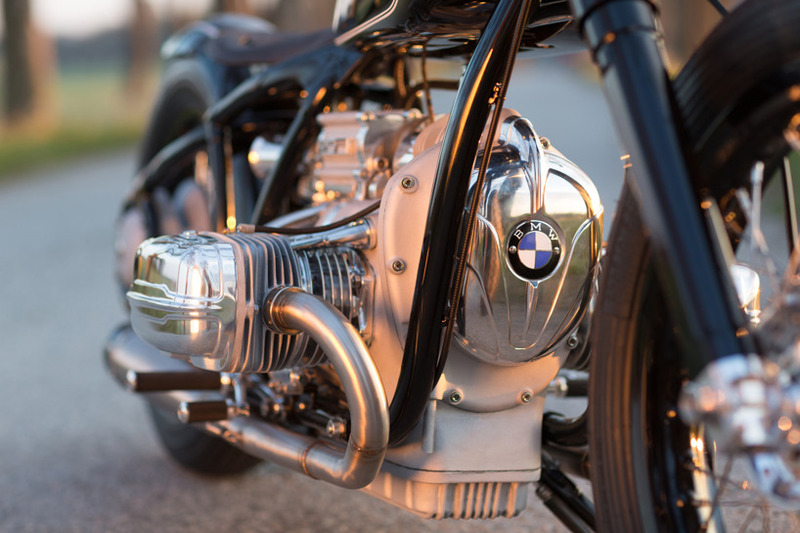 Thanks to the likewise newly designed frame made of electrically welded oval tubing, the light R 5 reached a top speed of 135 km/h, making it almost as fast as R 17 with 33 bhp 750 cc – which is one of the reasons it was so frequently used for racing, just like the engine selected for the BMW R 5 Hommage, which was damaged during a race. 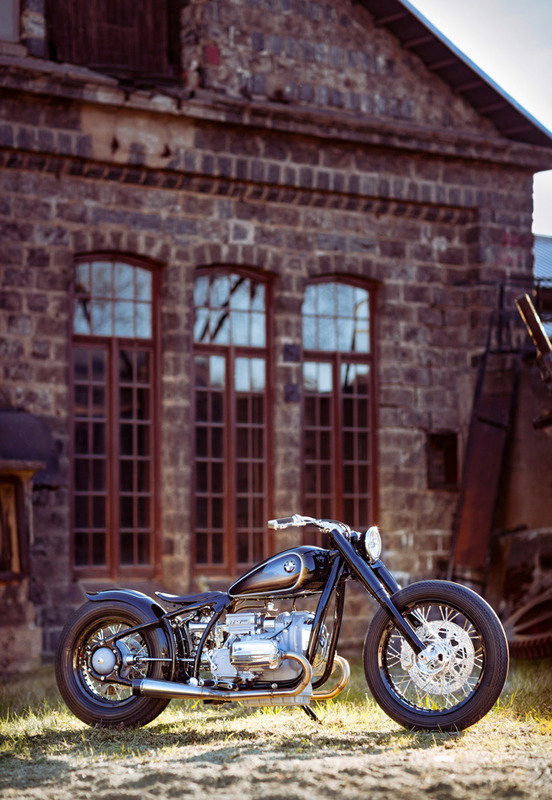 For the homage bike, numerous components such as the valve cover and the breastplate of the boxer engine were machined from billet aluminium based on sketches: they give the historical core a dash of modern flair. ... in a tailor-made custom outfit. 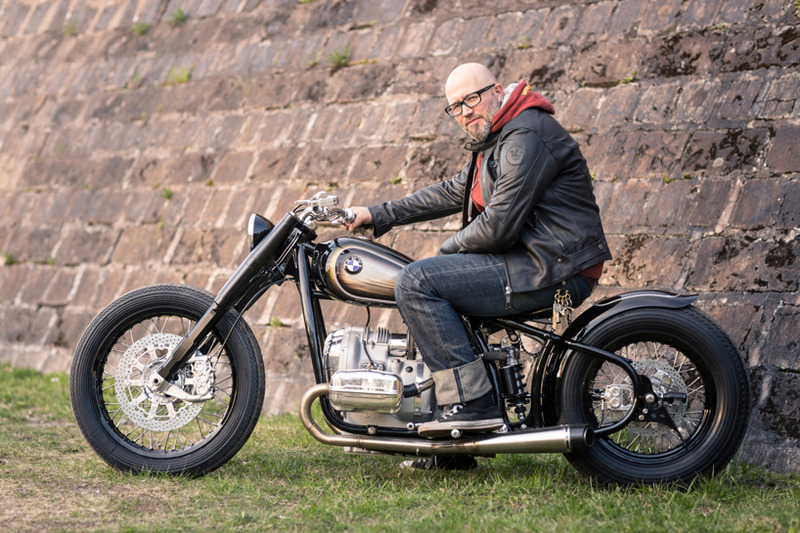 Two doyens of the custom bike scene, Ronny and Benny Noren, were the perfect partners for the BMW R 5 Hommage project when it came to providing a fitting outward appearance for the historical core and producing the missing parts for the engine and gearbox. 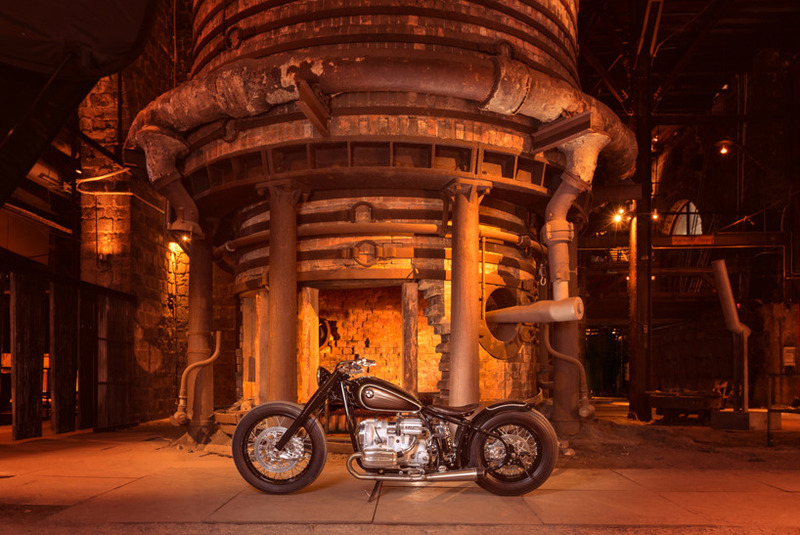 The remaining parts gradually took shape in the Noren brothers’ workshop based on sketches by the BMW Motorrad Design Team. 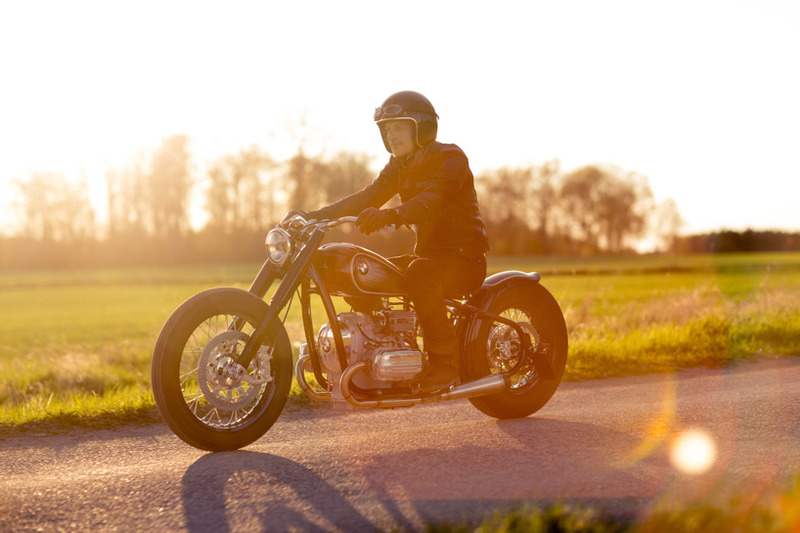 All parts such as the frame, fuel tank and rearfender are unique, elaborately hand-crafted components – making this a genuine custom bike. And most important of all: the newly fashioned parts clearly transport the original purist character of the R 5. The result is impressive: even from a distance the proportions convey the timeless beauty of a consistent reduction to the essentials – entirely true to the spirit of the R 5 – and translate this idea into the modern age. The frame and fuel tank echo the elegant drop shape of the original, though in a more modern, streamlined interpretation. 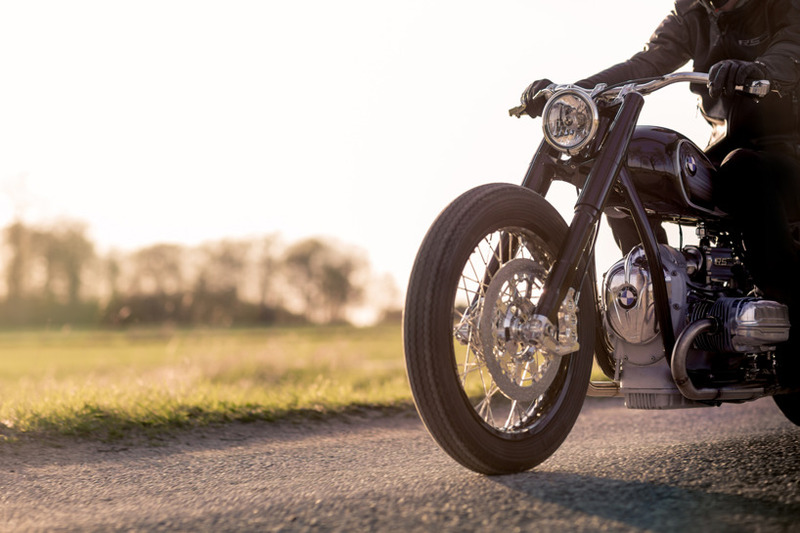 The steering head is slightly more tilted, for example, so as to give the R 5 Hommage greater presence and expressive stance while at the same time underscore the fact that it belongs to the customer bike world. As far as the frame is concerned, the focus here was on the oval shaped tubes which were such a striking feature of the original. 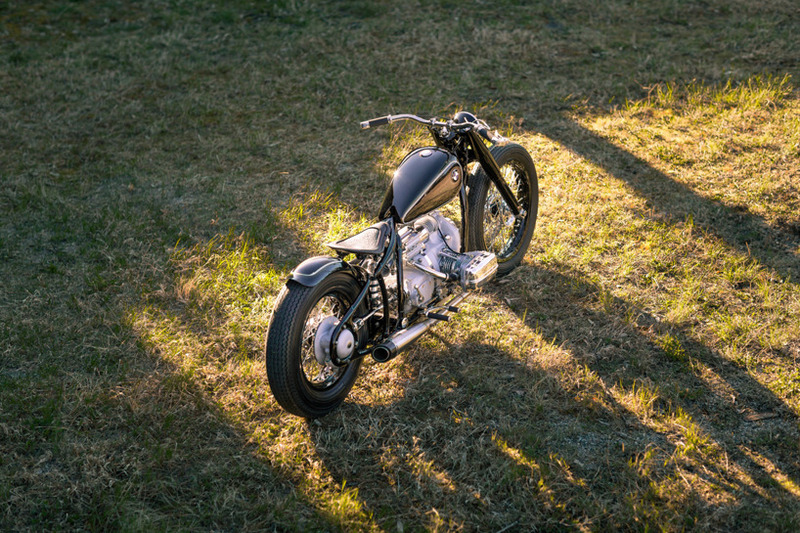 Together the frame and fuel tank draw a continuous line from the steering head to the rear wheel hub, giving the side view a touch of elegance. 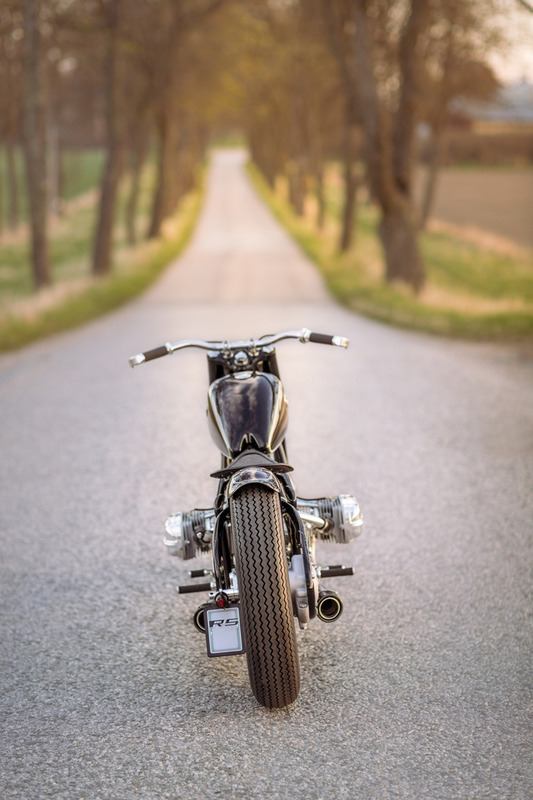 The hand-made steel rearfender perpetuates the minimalistic layout. A modern interpretation of historical details. A particularly defining feature in terms of the appearance of the original R 5 was the telescopic fork - new at the time - whose characteristic fork covers were aerodynamically shaped at the level of the headlamp. 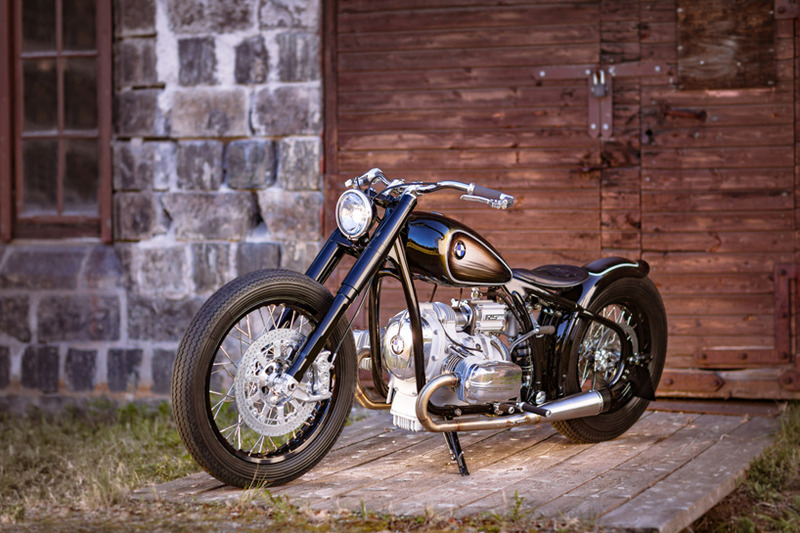 The BMW R 5 Hommage invokes this element and interprets it in modern style based on the custom made fork. 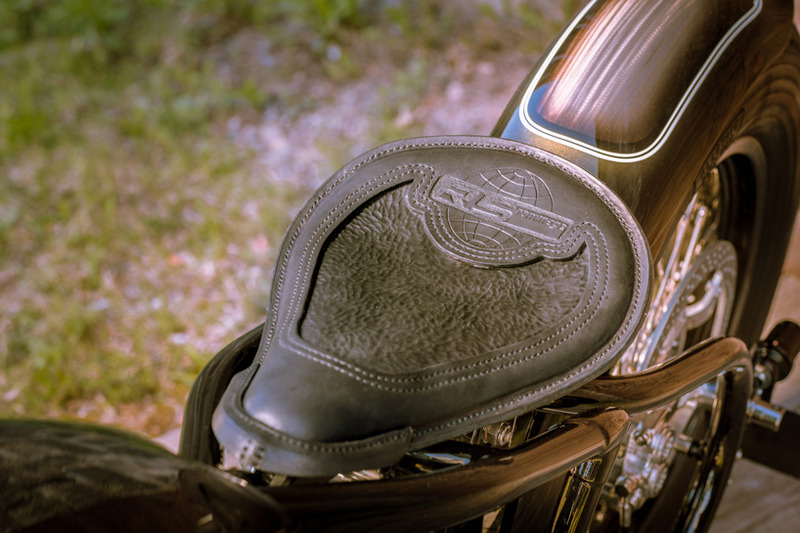 The leading edge of the forkcovers echoes the “crease” on the breastplate and valve covers with a suggested interpretation of the typical “R 5 rib”. 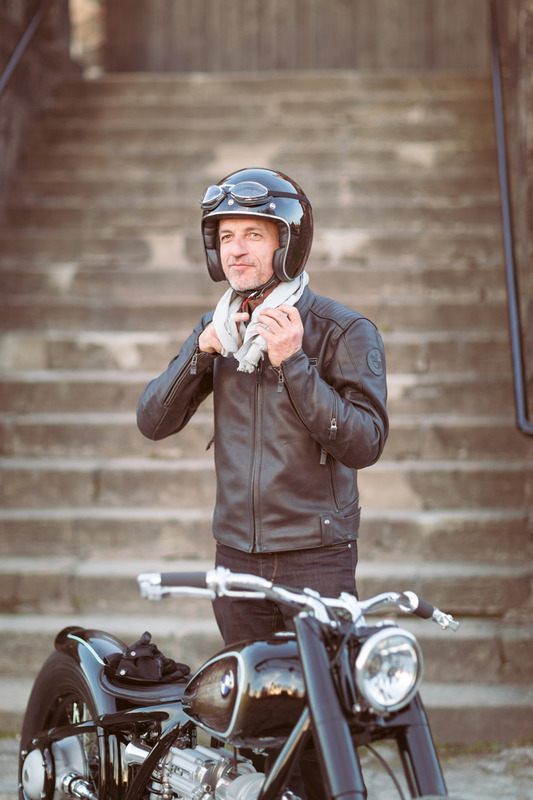 The brake and clutch levers activated from the bar-end likewise blend the past with state-of-the-art technology: these custom-made components combine the look of historical reversed levers with the adjustment options of modern controls. 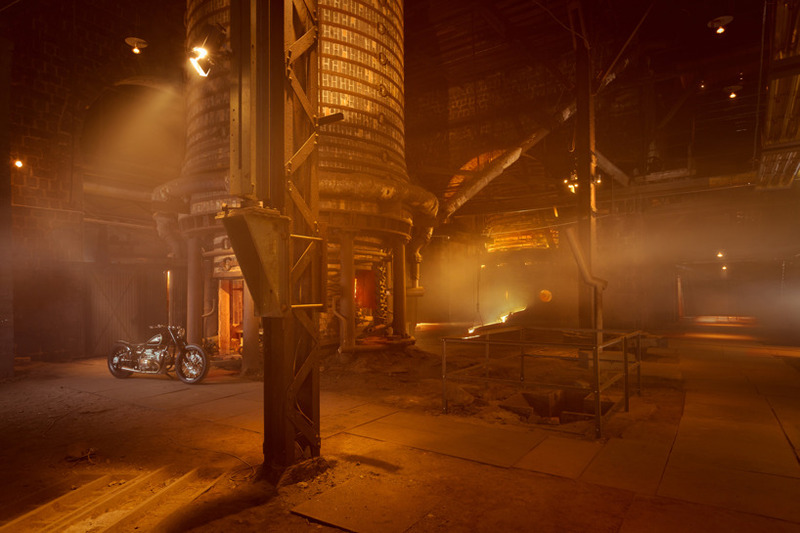 Exquisite custom craftsmanship: supercharger, exhaustpipes and suspension. 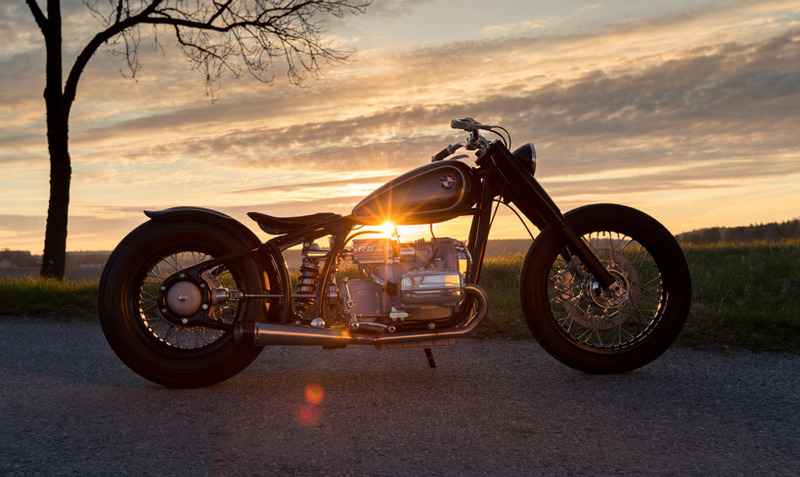 The heart of the BMW R 5 rests within the minimalist proportions of the homage bike. 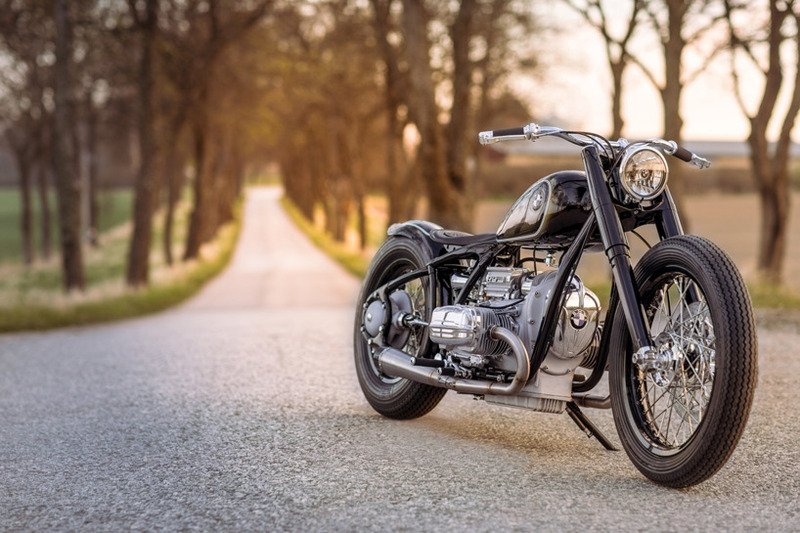 The technical highlight of the engine is the specially developed supercharger, which in the BMW R 5 Hommage now significantly boosts the output of the original 500 cc power unit of 26 bhp to achieve a contemporary accurate level. A completely newly built stainless steel exhaust system ensures that this increase in power is appropriately reflected in terms of sound. 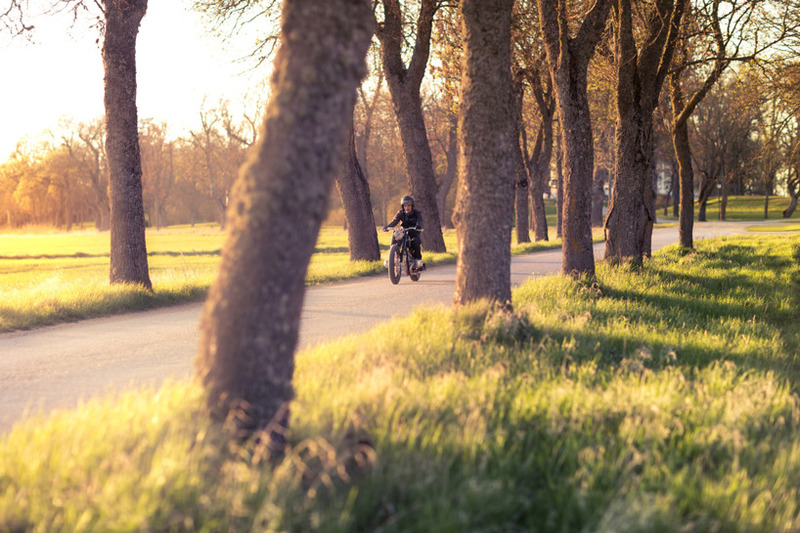 Other contemporary accents are provided by the new rear wheel suspension, the modern piston brake system and the elaborately designed front and rear wheel hub. 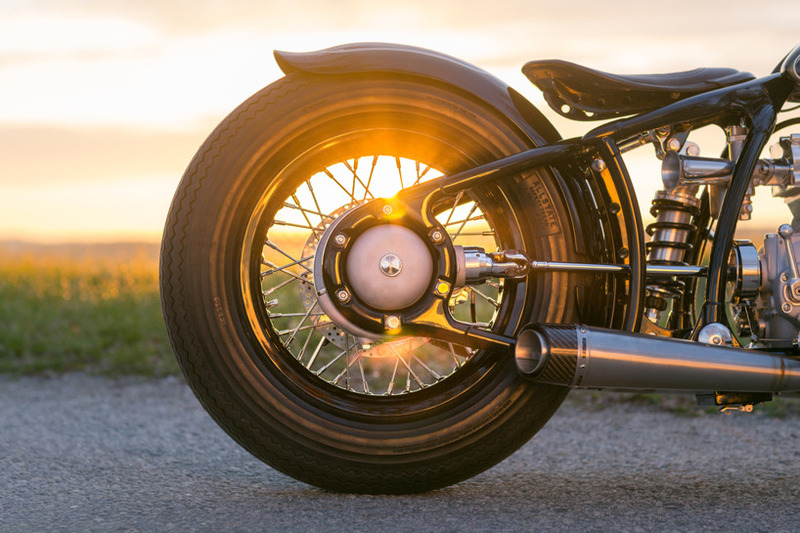 The latter combines the brake system and spoke mount in a single formal unit - a detailed reflection of the minimalistic concept embodied by the BMW R 5 Hommage. 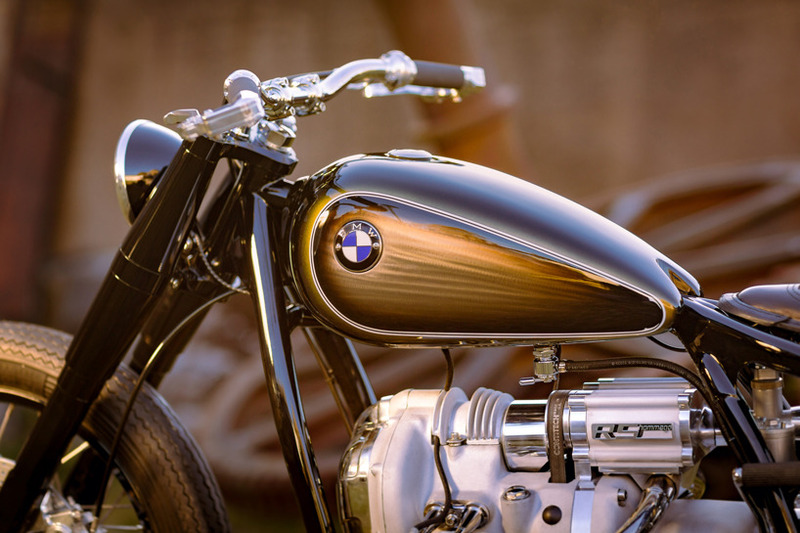 The colour: classic BMW style yet still a true custom bike. 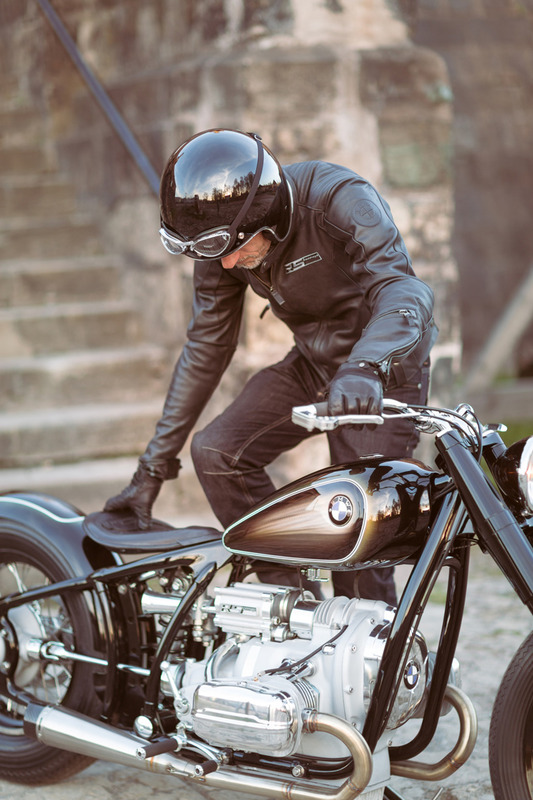 The BMW R 5 Hommage is presented in classic style when it comes to colour. The basic theme is typical BMW – black with white pinstripes, though interpreted in contemporary style of course. 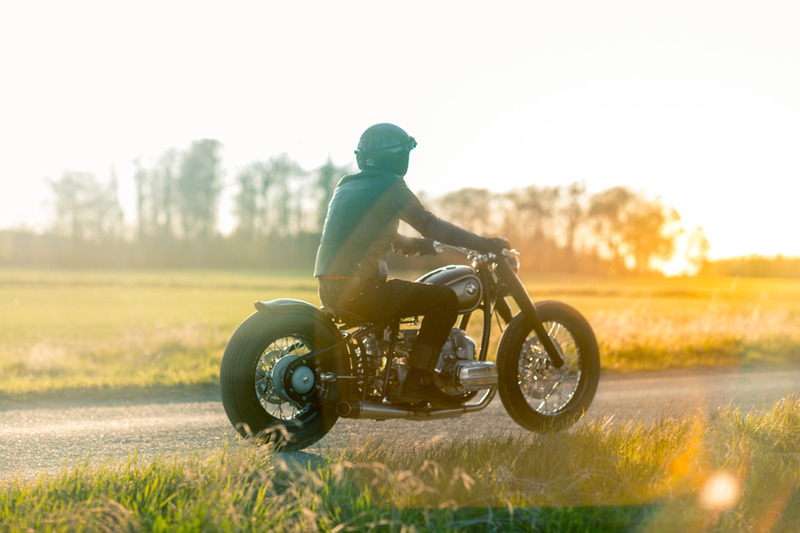 In addition to the opaquely finished surfaces, the so-called smoke finish on the fuel tank and rearfender allow the steel underneath to partially show through. 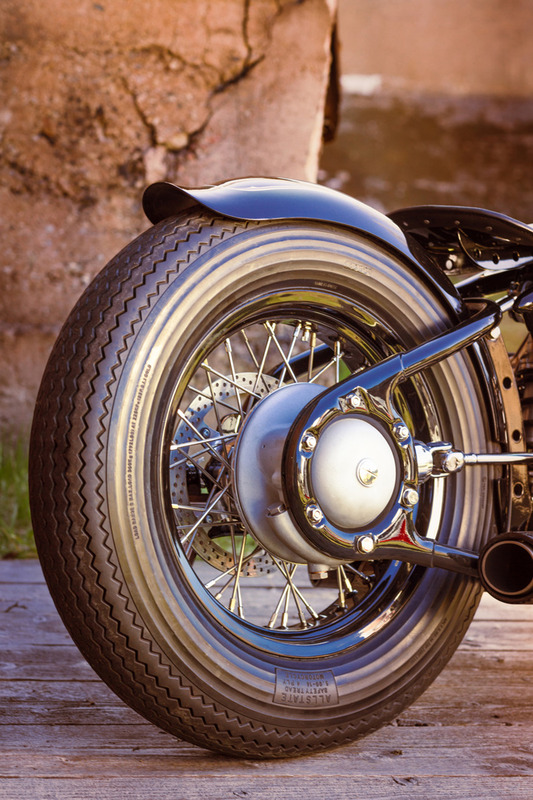 In addition to the white pinstripes, the black finish on the fuel tank and rearfender especially comes into its own right, in perfect custom style, due to the metallic finish and a slight flake effect. 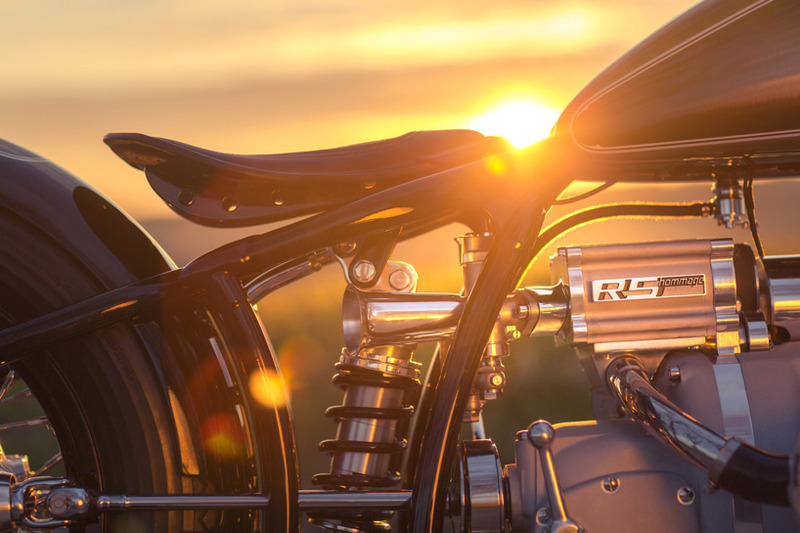 The engine cases and gearbox in glass bead aluminium provide the perfect stage for the polished aluminium parts such as the machined breastplate and the valve covers with its “R 5 crease”. 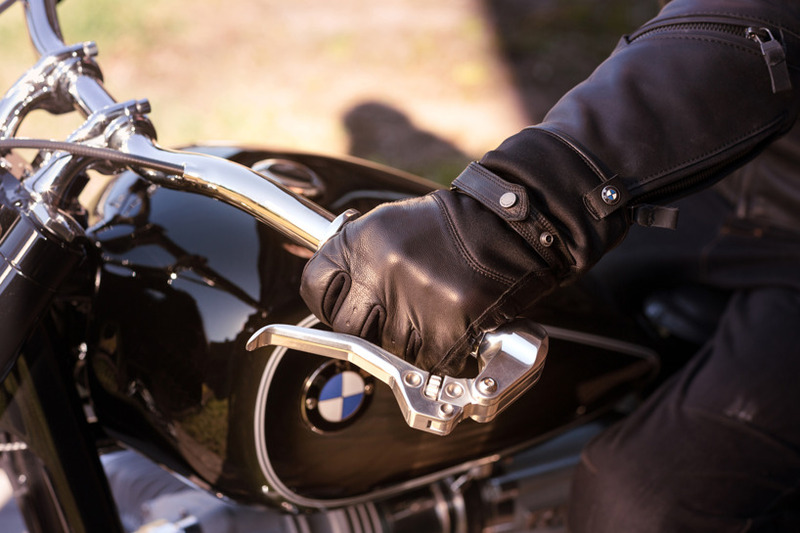 The soft lustre of the polished aluminium is especially reminiscent of the BMW R 5 originals. 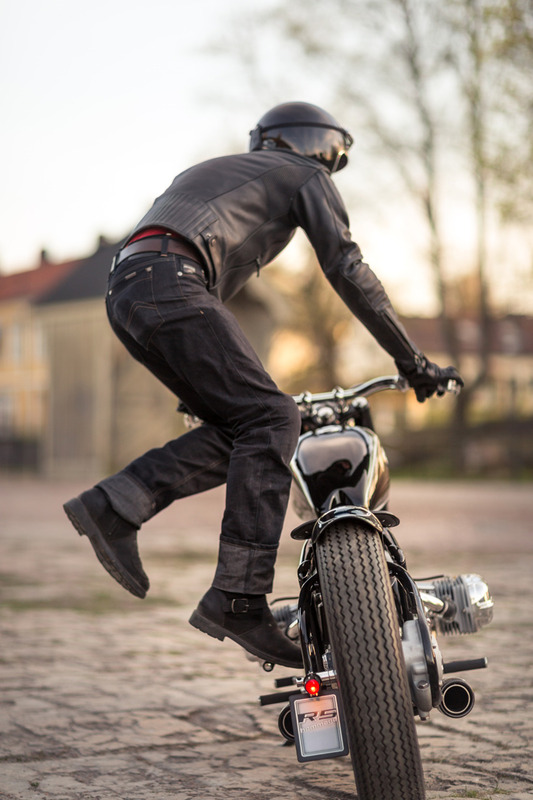 The overall image is rounded off with a handstitched leather seat with high-quality embossing. 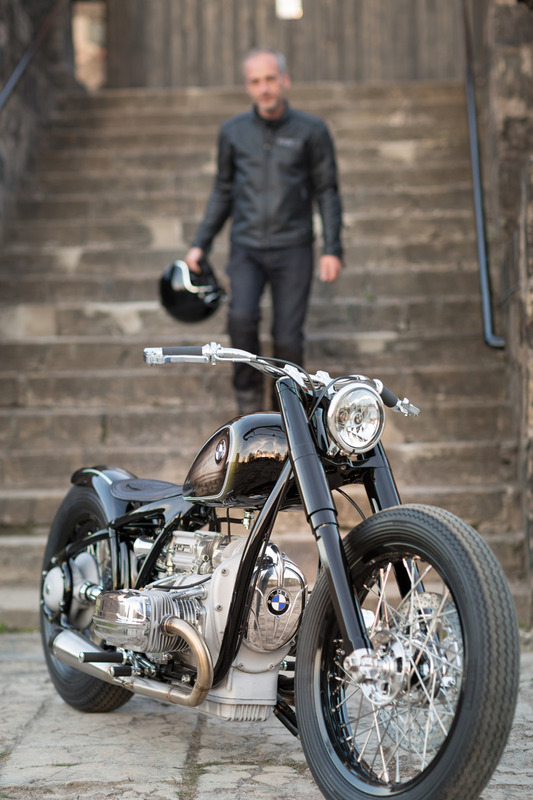 BMW PressClub Global · Article.